Puerto Rico has many attractions. The island may be relatively small, but varied climate and topography make it a suitable habitat for flora and fauna. In Spanish, Puerto Rico is known as "La Isla del Encanto" which means "Island of Enchantment". Accordance with his nickname, Puerto Rico, located in the eastern Caribbean Sea is saving a lot of natural charm. Puerto Rico is mostly mountainous, although there is a coastal plain belt in the north. There are sandy beaches along most of the coast. There are many small rivers about the island and the high central mountains ensure the land is well watered, although the south coast is relatively dry. The coastal plain belt in the north is fertile. 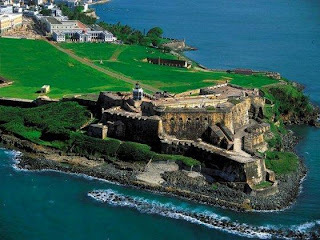 Castillo de San Felipe del Morro, (better known as El Morro) is Old San Juan's landmark that most well known. For over 400 years, this fort was to protect the San Juan and the delivery route of a new world to the old world. Now, the six-level fort is a military history of Puerto Rico site of the 1500's until the 20th century. Here you can see the cannon overlooking the sea and into the guard box to see how the soldiers used to live and work in the colonial era. In addition, you can also see enhancements made ​​by the U.S. during World War II. With cash of approximately U.S. $ 5, you may visit this fort at 501 Norzagaray road, Old San Juan. The fort is open daily from 9:00 to 17:00 am local time (June-November) and 9:00 to 18:00 local time (December-May). Try visiting Vieques Biobay on a moonless night, when there is little light. With a kayak, you can through the mangrove trees into Mosquito Bay on the island of Vieques. When kayaking here, you'll see your paddles in the water glow green streak among fish that looked like lightning under water. You will understand why Biobay Vieques is one of the most amazing experiences offered by Puerto Rico. 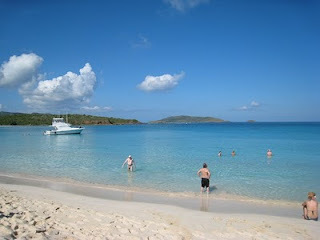 Due to geography, climate, and local conservation efforts, Vieques Biobay is one of the most luminous bays in the world. 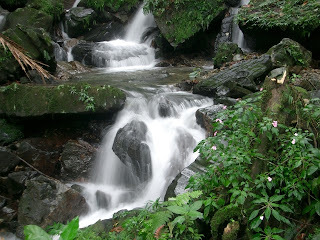 El Yunque, or "The Anvil" is home to tropical rainforests in the U.S. National Forest System. During the two-hour trip from San Juan, you will pass through the fertile and beautiful region. Most people decide to come here to walk through the rain forest flora is abundant or to dive under the waterfall. El Yunque is part of Puerto Rico that has not changed in centuries. On the east coast of Puerto Rico, the main attraction is the beach generally Flamenco. 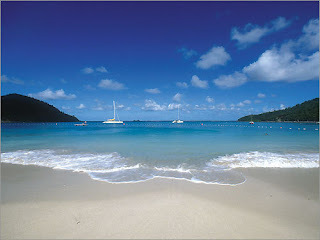 But actually there are other places that are no less beautiful, that is small island Culebrita. To stay away from the crowd (you have to take a water taxi or boat to be here) and feel the beauty of pristine beaches and the splendor lighthouses, Culebrita is suitable. West Coast is a long stretch of white sand beach with shades of blue waters and great snorkeling. To dive, you can find Culebrita Reef on the south side of the island. However, the crown jewel of the small island is Playa Tortuga Culebrita ("Turtle Beach"). 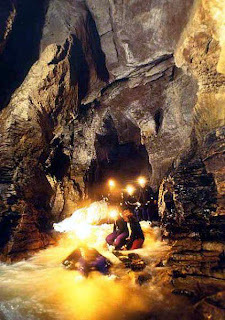 Camuy caves are one of the largest cave system in the world and largest in the Western Hemisphere. This cave is located in northwestern Puerto Rico, but the main entrance to the park is located in the Quebrada, Camuy. The caves here are part of a large network of natural limestone caves and underground water channels carved by an underground river in the world's third largest, Camuy River. Cave system discovered in 1958 and was first documented in the book Discovery At the Rio Camuy (1973) by Russell and Jeanne Gurnee. Archaeological evidence suggests that this cave has been explored by Indian TaÃno, the first inhabitants of Puerto Rico hundreds of years ago. More than 10 miles (16 kilometers) with 220 caves and 17 entrances from Camuy cave system has been mapped but experts estimate there are 800 caves in this system.